I am happy to announce that I am participating in the Joyofkosher.com Kosher Connection Link Up for Kosher food bloggers again (see below!). The theme for this month is grilled food. Perfect – right up my alley! I love almost anything grilled, from lettuce,to meat, to fish, to fruits and veggies. I had a hard time deciding what to post since you can make so many great recipes on the grill. I was having thoughts of grilled sandwiches, desserts, kabobs and all sorts of grilled concoctions. 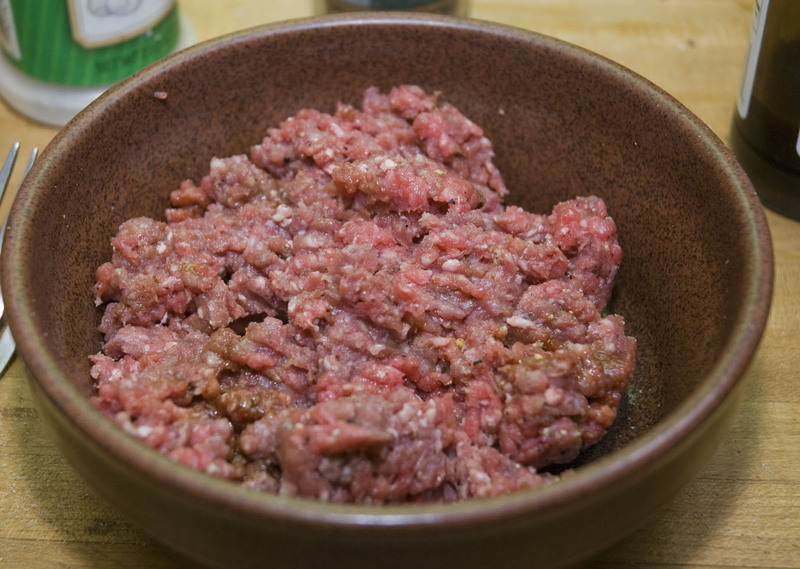 After many days of obsessing I could not decide what to post, but kept coming back to my favorite thing to make on the grill – a good old fashioned hamburger. I love this recipe because it is quick, easy and delicious. It is kid and adult tested and always a winner! There are only a few ingredients, and these burgers are really flavorful. They can be made on an outdoor grill or year round on a grill pan. For many years I lived in an apartment and did not have an outdoor grill. These are still great made on the grill pan. 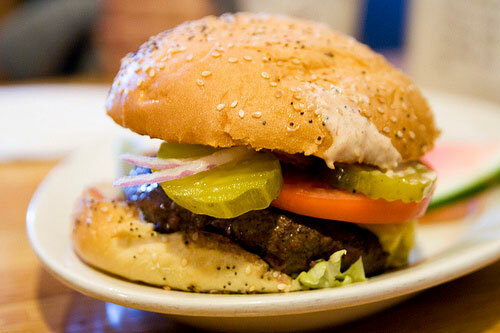 I love this burger on a bun topped with ketchup, mustard, lettuce, tomato pickles and a slice of onion – the classic. You can also get creative with what type of bun you use and top it with any of your favorite toppings. Some other toppers I love are sliced avocado, grilled onions and mushrooms, spicy mayonnaise or any pickled veggie. The possibilities are endless! 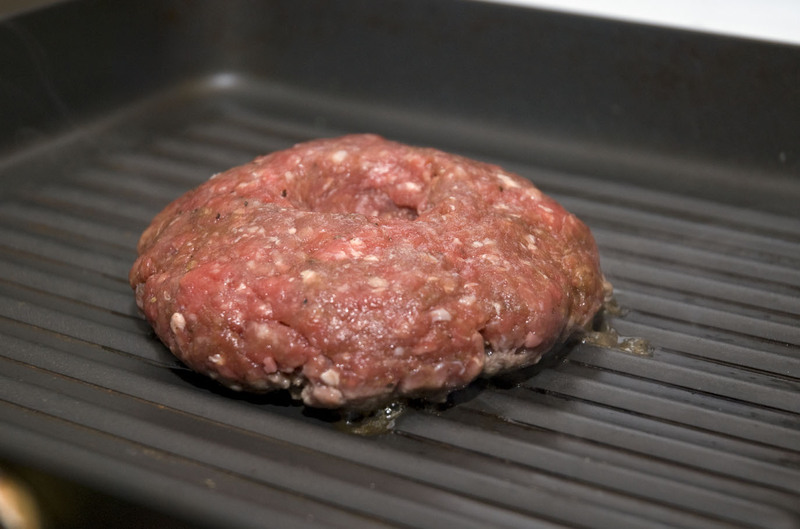 Preheat a grill pan or outdoor grill over medium-high heat. Combine the salt, pepper, onion and garlic powder in a large bowl. Add the Worcestershire sauce and meat to the of the spices. Mix until just combined – do not over mix. 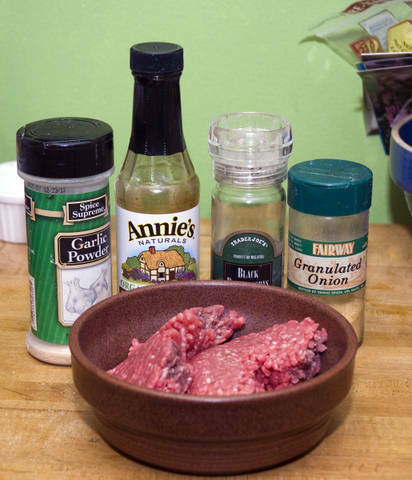 Create 4 burgers out of the mixture. Create a dimple in the middle of each burger to help cook evenly. Place the burgers on the grill. Grill for 5 – 6 minutes on each side for medium burgers. A minute less for medium rare and a minute or two more for well done on each side. I have many recipes for eggs only because they are so versatile. I eat them for breakfast, lunch and dinner. They are a great source of protein and quick and easy to make. You can add any type of vegetable to bump up the healthy factor . 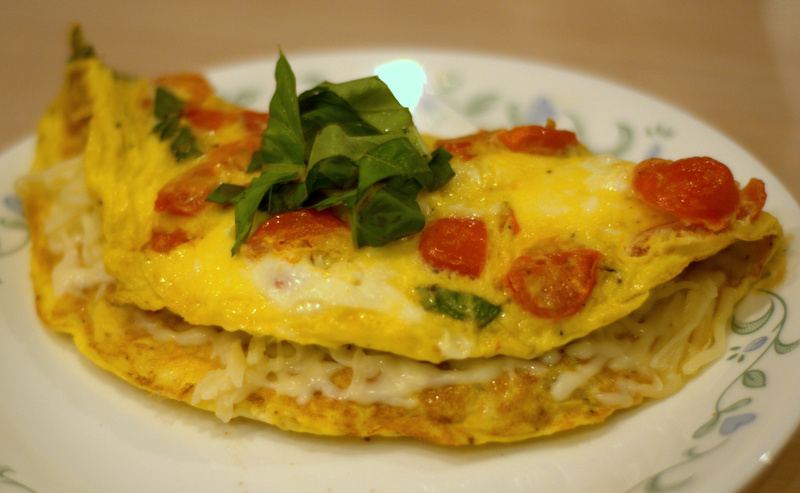 This omelet combines some of my favorite flavors – tomatoes, basil and mozzarella cheese. They are a great and classic combination. One day I decided to put them all into an omelet and this recipe was born! Heat the olive oil in an 8 inch skillet over medium heat. Place the tomatoes into the pan with a pinch of salt and sauté. While the tomatoes cook beat the eggs and add the basil leaves (reserve a few pieces for garnish) salt, pepper and one tablespoon of water. 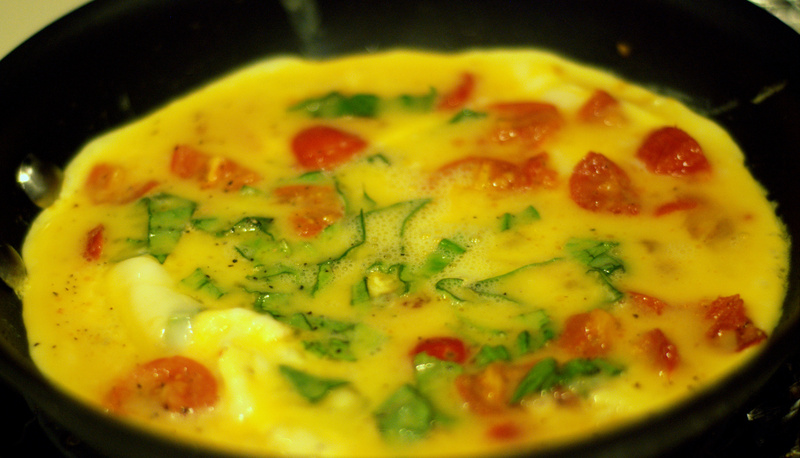 Once the tomatoes are slightly softened add the eggs to the pan. Lower the heat to medium-low. Cook the eggs until the edges start to firm up. Loosen the edges of the eggs with a flexible spatula and tilt the skillet to let the uncooked egg run underneath. Once the bottom is firm carefully place the spatula under the egg and flip the omelet. If you do not think the egg will flip easily you can place the eggs under the broiler until the top is firm (about 3 to 5 minutes). This is my trick to perfect omelets every time! Sprinkle the cheese onto half of the egg. Flip the egg on top of itself to fold in half. Cut the egg in half and serve.